"You know who is my choice. 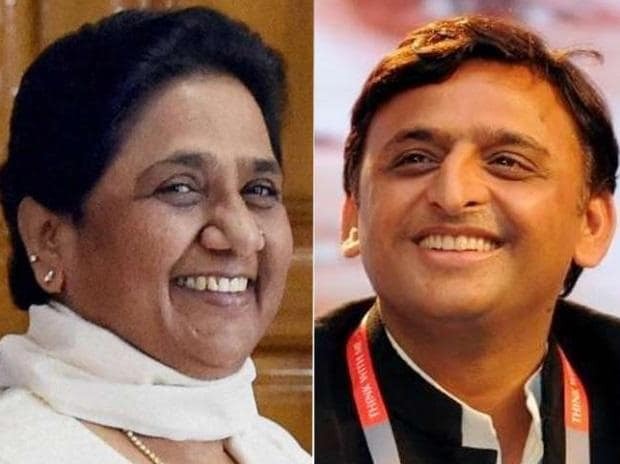 Uttar Pradesh has given prime ministers in the past and trend will be repeated again," said Samajwadi Party (SP) chief Akhilesh Yadav on Saturday when asked whether he will support Bahujan Samaj Party (BSP) supremo Mayawati. "I want to congratulate and thank Mayawati for forming the SP-BSP alliance. In the last five years under the leadership of the Bharatiya Janata Party (BJP), the atrocities done by them on poor, farmers, MSMEs, Dalit, women and children are unimaginable. In Uttar Pradesh, the BJP government has spread hatred amongst the people," he added. He added, "The alliance was in my mind since the day BJP leaders made obscene comments on Mayawati. Instead of punishing them, BJP gave big ministries to these leaders. From today onwards, all the SP workers should know that disrespect of Mayawati, will be my disrespect.